Have you noticed a foul odor when you run the well or city-supplied water in your home? Are your water fixtures marred with rust or green-colored stains? Are you concerned about the potential for high levels of arsenic being found in water samples within the Auburn area? 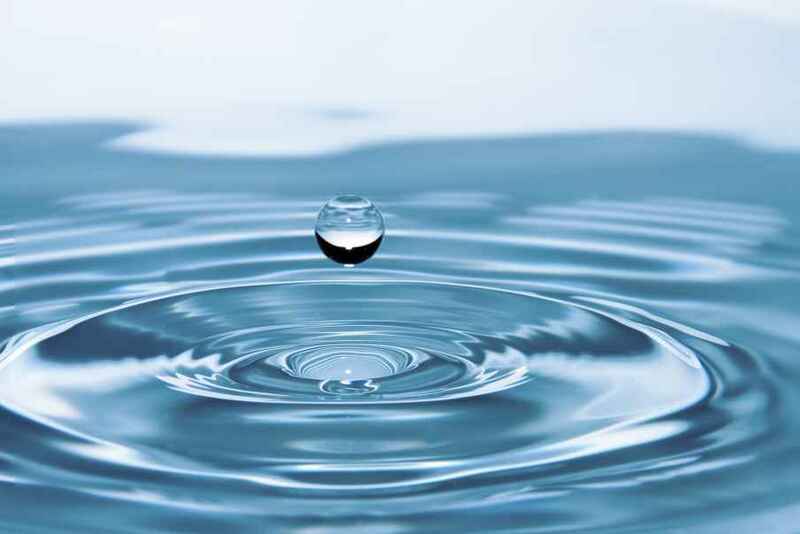 Find out what Auburn water treatment can do to change your quality of life. Unfortunately, water problems are common all over Western Washington, and they can lead to costly plumbing bills due to pipe corrosion, unsightly hard water staining on your home's fixtures, and there is even the potential for developing health problems. The best and most cost efficient solution to your water problems may be to install an Auburn water filtration system, fully customized to your unique situation. The quality of your water matters. Whether you're concerned about the viability of your drinking water, or are simply considering a water softener to battle hard water issues, our experts can design and install an Auburn water purification system that will solve your problems. Don't take any chances with your water. Contact us today at (253) 630-7177 or (800) 377-7401 and find out if you would benefit from an Auburn water filtration system. We keep our overhead low and our margins modest, so you will likely be surprised by how affordable your Auburn water purification setup will be. With the majestic Mount Rainier in the visible distance, Auburn, Washington is located between Tacoma and Seattle in the Green River Valley. The Green and White Rivers run through the community of Auburn. The Sounder Train offers commuters the opportunity to travel to Seattle in only 20 minutes and it is only a 30 minute drive to the flourishing communities of Tacoma and Seattle. Over the years, Auburn has experienced a considerable amount of growth in population, somewhat as the result of the close proximity of Auburn to the greater Seattle metropolitan area. However, housing around Auburn remain reasonably priced. The population in Auburn was 68,850 people according to the census that was taken in 2000. The community of Auburn has been the setting for many different businesses, industry, and farming for more than 150 years. For both tourists and residents alike, the Auburn area has been a very popular place for outdoor activities. About an hour away, the Snoqualmie Ski Resort, Crystal Mountain, and Mount Rainer, are all located. Both visitors and residents alike enjoy using the walking and biking trails in the region. The community offers three quality golf courses and more than 30 parks. In addition, there are some excellent fishing opportunities in the close by rivers. Some of the earliest pioneers in King County made the community of Auburn their home. For over 150 years, Auburn, which is located in a fertile river valley, has been both a center of industry and business as well as a farming community. Auburn is situated close to the original confluence of the White and Green and rivers. The Cascade Mountain Range provides runoff to both of these rivers. The Stkamish, Smalhkamish, and the Skopamish Indian tribes all original made the valley their home. During the 1830’s, the first white men, who were traders and explorers, arrived in the area. During the 1850’s, homesteaders first arrived in the valley. Nine people, including children and women were killed in an ambush by Indians in 1855. Later that same year, a military man named Lt. Slaughter was leading a military unit and was camping close to what is currently known as the community of Auburn. Lieutenant Slaughter as well as two other men were attacked and killed by a group of Indians in late 1855. The Muckleshoot reservation was established based on a new treaty that was written. Within the boundaries of King County, this is the only Indian reservation. Collectively, the White River Indian tribes came to be known as the Muckleshoot tribe. Some white homesteaders, specifically the Ballard and the Neely families started returning to the region. The year 1891 brought the incorporation of the community Slaughter. Many of the newer residents understandably felt uncomfortable with this name, while many of the older residents considered the name of the new community to be a memorial. The name of Slaughter was changed to Auburn during the next two years. Up until the 1890’s when aphids destroyed the crops, Auburn had been a bustling center for hop farming. The farms were primarily berry and dairy farms after that. However, up until 1962, when the Howard Hansen Dam was constructed, flooding continued to be a problem for the farmers in Auburn. Controlled river management was finally provided by the Mud Mountain Dam, located on the White River as well as this dam, located on the Green River. These dams resulted in the valley being almost free of floods. The railroad was another impetus to growth of Auburn. In 1883, The Northern Pacific Railroad ran a rail line through the community. However, in 1902, the Tacoma-Seattle Interurban line allowed easy access to both communities. The Interurban permitted farmers to get their products to the marketplace within hours after their crops were harvested. Many new businesses set up shop in Auburn, such as the Northern Clay Company and the Borden Condensery, as the result of improved roads and the railroad. Much the same as many communities in the country, Auburn grew throughout the 1900’s. Although the Great Depression during the 1930’s left many residents in need, the 1920’s were prosperous for residents. A great hardship was brought to numerous local Japanese farmers when they were relocated to internment camps as the result of WW II. During this same time period, some local men were assigned to fight in the Pacific, and many lost their lives in battle. A community college and many more businesses were established in Auburn because the postwar era was so prosperous to the community. The Boeing Company constructed a large facility in order to mill the sheet metal skin for jet aircraft in 1963. Numerous farms vanished as the property was converted for industrial use as time went on. A large supermall was constructed during the 1990’s, which enticed consumers from all around the Puget Sound area. Although much of the history of the community remains, Auburn has made the transition to large businesses and industries from small farms. In 1918, a monument in the memory of Lt. Slaughter was erected and remains standing in a local park. Constructed by the son of a white settler in 1891, The Neely Mansion has been restored and is currently listed on the National Register of Historic Places. © Copyright 2011 - 2019, Northwest Water Treatment, Inc. - All rights reserved. Website Design, Hosting and Maintenance by New Tech Web, Inc.